GDPR replaces our current Data Protection laws and will completely shake up how businesses handle personal data, both in terms of transparency of use and data security. This personal data relates to any individuals your company deals with; whether they are your customers, your suppliers or your employees. Hefty fines will be in place for any businesses failing to take reasonable steps to comply with the new regulations and so it is important that we all take the new rules seriously, particularly when it comes to data security. 95% of cyber security breaches are down to human error. How can you make your business systems more secure? Security involves everybody and the key to keeping your systems safe is training your people; giving them the knowledge to follow best practice and use the internet safely. HBT’s security partners are world leaders and have produced innovative cyber security training solutions to educate your staff. Training modules address all aspects of security, including identifying phishing emails and the course can be easily tailored to each individual and accessed from a work computer with minimum disruption to the working day. GDPR the end of BYOD? How Security Savvy is Your Business? HBT – Social Media in the Office; Productivity Gain or Drain? 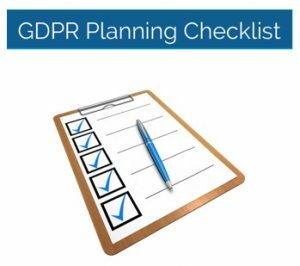 GDPR a project for today or a process to take your business into the future? The Who, What and Why of Cyber Security! Can your business afford to ignore this?